The actor best known for his role as J.R. Ewing passed away in Texas on Friday afternoon. Actor Larry Hagman, seen here in the guise of J.R. Ewing on the television hit "Dallas." 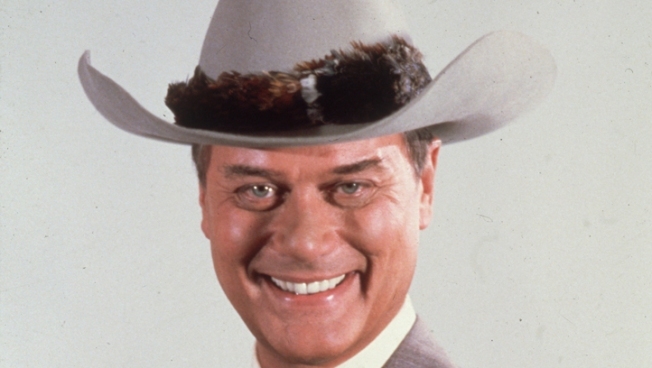 Hagman passed away Friday afternoon at the age of 81. Larry Hagman, the actor who played the dastardly J.R. Ewing on the hit television series "Dallas," died Friday. He was 81. Hagman's "Dallas" co-star Linda Gray, who was at his bedside at the time of his passing, issued the following statement to NBC Los Angeles: "Larry Hagman was my best friend for 35 years. He was the pied piper of life and brought joy to everyone he knew. He was creative, generous, funny, loving and talented and I will miss him enormously. He was an original and lived life to the full and the world was a brighter place because of him." Hagman was born in Fort Worth on Sept. 21, 1931. He was the son of Benjamin Hagman, a district attorney, and Broadway star Mary Martin. Hagman died at Medical City Dallas Hospital from complications of his recent battle with cancer, members of his family said in a statement per the Dallas Morning News. Hagman achieved fame through his role as the perpetually tested Major Anthony Nelson, the master-turned-husband of a beautiful genie played by Barbara Eden in the 1965 NBC sitcom "I Dream of Jeannie." But it was his star turn as the conniving Texas oil baron J.R. Ewing on the CBS nighttime drama "Dallas" (1978-1991) that made him a television legend. He announced his return to the role in 2011 when the series was rebooted on the TNT network. In an interview with NBC prior to the relaunch of the series, Hagman likened being back in the role of J.R. to be as comfortable as "an old pair of slippers." The actor said the character was the perfect guy you love to hate because, "Everybody has a jerk like this in their family – a father or brother, uncle or cousin. Everyone has that. That's what makes him so appealing: they can hate him. They know who he is." Hagman originally played the villain for 14 years, with "Dallas" appearing in more than 90 countries and attracting an estimated 83 million viewers in the U.S. for the “Who Shot J.R.?” episode that aired Nov. 21, 1980. It was revealed that the person who pulled the trigger was the scheming sister of J.R.'s wife Sue Ellen (Gray). Following the life saving surgery Hagman served as the national spokesperson for the 1996 U.S. Transplant Games, became an anti-smoking campaigner and continued to advocate for organ donation and transplantation throughout the remainder of his life. In October 2011, Hagman announced he was battling cancer once again. Despite his fragile health, the actor was already on board for the remounted "Dallas" and appeared in the first season, which was well received by audiences. He had recently filmed six of the 15 episodes for season two, which is set to return Jan. 28 according to The Hollywood Reporter. Hagman first pursued acting in New York, making his stage debut in "The Taming of the Shrew." In 1954 he married Maj Axelsson while they were in a production of "South Pacific." The couple had two children, Heidi and Preston. Hagman served in the air force, spending five years as director of USO shows, before returning to New York, where he took a starring role in the daytime soap "The Edge of Night." After relocating to Hollywood, Hagman won the role of Nelson in "I Dream of Jeannie," a show he described in his 2001 autobiography as "good, wholesome, escapist fun, with a healthy dose of sexual tension." During his career he appeared in more than 80 television productions including "Police Woman" (1974), "The Rockford Files" (1977), "Nip/Tuck" (2006) and "Desperate Housewives" (2011), as well as numerous films such as "Superman" (1978), "Nixon" (1995) and "Primary Colors" (1998). But it was the larger-than-life J.R. Ewing that Hagman would remain most famously associated with.